2018 MMCA3G $30,450 147 Arctic White VU9 Black Leatherette $70 Options C21 C21 BLIND SPOT ASSIST PACKAGE $1,010 JK3 I/P Cluster Pixel Matrix JA7 Blind Spot Monitoring F68 Exterior Mirror - Power/Heated CL4 Multifunction Steering Wheel CL3 Leather Steering Wheel A1M Factory Tracking code D12 Roof rails, black $390 FF1 Storage Tray, Center Console $95 F61 Rear View Mirror $55 MS1 Cruise Control $375 Q24 Trailer Hitch $370 S04 Front Passenger Seat (Standard) T19 Sliding Door- Left Side $752 VA3 Side Wall Panel - Full Hardboard $285 W54 Rear Doors 270 Degree Opening W78 Window rear door and washers/wipers $395 SUBTOTAL $34,247 DESTINATION &DELIVERY $995 TOTAL $35,242 *Pricing is subject to change. Mercedes-Benz reserves the right to make changes without notification. 2018 MMCA3G $30,450 147 Arctic White VU9 Black Leatherette $70 Options C21 C21 BLIND SPOT ASSIST PACKAGE $1,010 JK3 I/P Cluster Pixel Matrix JA7 Blind Spot Monitoring F68 Exterior Mirror - Power/Heated CL4 Multifunction Steering Wheel CL3 Leather Steering Wheel A1M Factory Tracking code D12 Roof rails, black $390 FF1 Storage Tray, Center Console $95 F61 Rear View Mirror $55 MS1 Cruise Control $375 Q24 Trailer Hitch $370 S04 Front Passenger Seat (Standard) T19 Sliding Door- Left Side $752 VA3 Side Wall Panel - Full Hardboard $285 W54 Rear Doors 270 Degree Opening W78 Window rear door and washers/wipers $395 SUBTOTAL $34,247 DESTINATION &DELIVERY $995 TOTAL $35,242 *Pricing is subject to change. Mercedes-Benz reserves the right to make changes without notification. 2018 MMCA3G $30,450 147 Arctic White VY2 Tunja Black Upholstery Options C01 C01 Driver Comfort Package: Two additional master keys. Comfort seat $570 SE5 Lumbar support, driver seat SE4 Lumbar support, passenger seat SB2 Comfort Passenger's Seat SB1 Comfort Driver's Seat FZ9 Keys - Two Additional Masters C20 C20 SAFETY PACKAGE : COLLISION PREVENTION ASSIST. Blind Spot Assist $1,285 JK3 I/P Cluster Pixel Matrix JA7 Blind Spot Monitoring JA6 Collision Prevention Assist F68 Exterior Mirror - Power/Heated CL4 Multifunction Steering Wheel CL3 Leather Steering Wheel A1M Factory Tracking code D12 Roof rails, black $390 F61 Rear View Mirror $55 MS1 Cruise Control $375 Q24 Trailer Hitch $370 T19 Sliding Door- Left Side $752 VA3 Side Wall Panel - Full Hardboard $285 W54 Rear Doors 270 Degree Opening W78 Window rear door and washers/wipers $395 SUBTOTAL $34,927 DESTINATION &DELIVERY $995 TOTAL $35,922 *Pricing is subject to change. Mercedes-Benz reserves the right to make changes without notification. 2018 MMCA3G $30,450 147 Arctic White VY2 Tunja Black Upholstery Options C01 C01 Driver Comfort Package: Two additional master keys. Comfort seat $570 SE5 Lumbar support, driver seat SE4 Lumbar support, passenger seat SB2 Comfort Passenger's Seat SB1 Comfort Driver's Seat FZ9 Keys - Two Additional Masters C20 C20 SAFETY PACKAGE : COLLISION PREVENTION ASSIST. Blind Spot Assist $1,285 JK3 I/P Cluster Pixel Matrix JA7 Blind Spot Monitoring JA6 Collision Prevention Assist F68 Exterior Mirror - Power/Heated CL4 Multifunction Steering Wheel CL3 Leather Steering Wheel A1M Factory Tracking code D12 Roof rails, black $390 F61 Rear View Mirror $55 MS1 Cruise Control $375 Q24 Trailer Hitch $370 T19 Sliding Door- Left Side $752 VA3 Side Wall Panel - Full Hardboard $285 W54 Rear Doors 270 Degree Opening W78 Window rear door and washers/wipers $395 SUBTOTAL $34,927 DESTINATION &DELIVERY $995 TOTAL $35,922 *Pricing is subject to change. Mercedes-Benz reserves the right to make changes without notification. 2018 MMCA3G $30,450 147 Arctic White VY2 Tunja Black Upholstery Options C01 C01 Driver Comfort Package: Two additional master keys. Comfort seat $570 SE5 Lumbar support, driver seat SE4 Lumbar support, passenger seat SB2 Comfort Passenger's Seat SB1 Comfort Driver's Seat FZ9 Keys - Two Additional Masters C20 C20 SAFETY PACKAGE : COLLISION PREVENTION ASSIST. Blind Spot Assist $1,285 JK3 I/P Cluster Pixel Matrix JA7 Blind Spot Monitoring JA6 Collision Prevention Assist F68 Exterior Mirror - Power/Heated CL4 Multifunction Steering Wheel CL3 Leather Steering Wheel A1M Factory Tracking code D12 Roof rails, black $390 F61 Rear View Mirror $55 MS1 Cruise Control $375 Q24 Trailer Hitch $370 T19 Sliding Door- Left Side $752 VA3 Side Wall Panel - Full Hardboard $285 W54 Rear Doors 270 Degree Opening W78 Window rear door and washers/wipers $395 SUBTOTAL $34,927 DESTINATION &DELIVERY $995 TOTAL $35,922 *Pricing is subject to change. Mercedes-Benz reserves the right to make changes without notification.2018 MMCA3G $30,450 147 Arctic White VY2 Tunja Black Upholstery Options C01 C01 Driver Comfort Package: Two additional master keys. Comfort seat $570 SE5 Lumbar support, driver seat SE4 Lumbar support, passenger seat SB2 Comfort Passenger's Seat SB1 Comfort Driver's Seat FZ9 Keys - Two Additional Masters C20 C20 SAFETY PACKAGE : COLLISION PREVENTION ASSIST. Blind Spot Assist $1,285 JK3 I/P Cluster Pixel Matrix JA7 Blind Spot Monitoring JA6 Collision Prevention Assist F68 Exterior Mirror - Power/Heated CL4 Multifunction Steering Wheel CL3 Leather Steering Wheel A1M Factory Tracking code D12 Roof rails, black $390 F61 Rear View Mirror $55 MS1 Cruise Control $375 Q24 Trailer Hitch $370 T19 Sliding Door- Left Side $752 VA3 Side Wall Panel - Full Hardboard $285 W54 Rear Doors 270 Degree Opening W78 Window rear door and washers/wipers $395 SUBTOTAL $34,927 DESTINATION &DELIVERY $995 TOTAL $35,922 *Pricing is subject to change. Mercedes-Benz reserves the right to make changes without notification. 2019 MMCA2G $30,700 368 Flint Grey Metallic $990 VY2 Tunja Black Upholstery Options C01 C01 Driver Comfort Package $580 FZ9 Keys - Two Additional Masters SB1 Comfort Driver's Seat SB2 Comfort Passenger's Seat SE4 Lumbar support, passenger seat SE5 Lumbar support, driver seat C21 C21 Blind Spot Assist Package $1,030 CL3 Leather Steering Wheel CL4 Multifunction Steering Wheel F68 Exterior Mirror - Power/Heated JA7 Blind Spot Monitoring JK3 I/P Cluster Pixel Matrix A1M Factory Tracking code F61 Rear View Mirror $55 LC2 LED light strip in rear compartment $210 MS1 Cruise Control $378 Q24 Trailer Hitch $375 RL8 5-spoke light alloy wheels, 7Jx17 $400 VA3 Side Wall Panel - Full Hardboard $285 W54 Rear Doors 270 Degree Opening XA6 GVWR 6,720 lbs SUBTOTAL $35,003 DESTINATION &DELIVERY $1,195 TOTAL $36,198 *Pricing is subject to change. Mercedes-Benz reserves the right to make changes without notification. 2019 MMCA2G $30,700 368 Flint Grey Metallic $990 VY2 Tunja Black Upholstery Options C01 C01 Driver Comfort Package $580 FZ9 Keys - Two Additional Masters SB1 Comfort Driver's Seat SB2 Comfort Passenger's Seat SE4 Lumbar support, passenger seat SE5 Lumbar support, driver seat C21 C21 Blind Spot Assist Package $1,030 CL3 Leather Steering Wheel CL4 Multifunction Steering Wheel F68 Exterior Mirror - Power/Heated JA7 Blind Spot Monitoring JK3 I/P Cluster Pixel Matrix A1M Factory Tracking code F61 Rear View Mirror $55 LC2 LED light strip in rear compartment $210 MS1 Cruise Control $378 Q24 Trailer Hitch $375 RL8 5-spoke light alloy wheels, 7Jx17 $400 VA3 Side Wall Panel - Full Hardboard $285 W54 Rear Doors 270 Degree Opening XA6 GVWR 6,720 lbs SUBTOTAL $35,003 DESTINATION &DELIVERY $1,195 TOTAL $36,198 *Pricing is subject to change. Mercedes-Benz reserves the right to make changes without notification. 2019 M1CA4G $33,790 147 Arctic White VF6 Leatherette Black $55 Options AR3 Axle Ratio 4.18 C6L Multifunction Steering Wheel $137 D50 Cargo Partition $273 ED8 Parametric Special Module (PSM) Preparation E1O Entry-Level Radio E46 12V Power Outlet- Driver Seat Base $87 FZ9 Keys - Two Additional Masters $115 F64 Electrically Folding Exterior Mirrors $46 F68 Exterior Mirror - Power/Heated $273 JA7 Blind Spot Monitoring $426 JW8 Attention Assist $46 MS1 Cruise Control $250 RD9 Tire Brand - Unspecified T77 Assist Handle w/Partition $30 V93 Wood Floor, Delete W54 Rear Doors 270 Degree Opening $340 W73 Rear Door Step - Bumper, Gray $176 Z4X Production in Charleston SUBTOTAL $36,044 DESTINATION &DELIVERY $1,195 TOTAL $37,239 *Pricing is subject to change. Mercedes-Benz reserves the right to make changes without notification. 2019 M1CA4G $33,790 147 Arctic White VF6 Leatherette Black $55 Options AR3 Axle Ratio 4.18 C6L Multifunction Steering Wheel $137 D50 Cargo Partition $273 ED8 Parametric Special Module (PSM) Preparation E1O Entry-Level Radio E46 12V Power Outlet- Driver Seat Base $87 FZ9 Keys - Two Additional Masters $115 F64 Electrically Folding Exterior Mirrors $46 F68 Exterior Mirror - Power/Heated $273 JA7 Blind Spot Monitoring $426 JW8 Attention Assist $46 MS1 Cruise Control $250 RD9 Tire Brand - Unspecified T77 Assist Handle w/Partition $30 V93 Wood Floor, Delete W54 Rear Doors 270 Degree Opening $340 W73 Rear Door Step - Bumper, Gray $176 Z4X Production in Charleston SUBTOTAL $36,044 DESTINATION &DELIVERY $1,195 TOTAL $37,239 *Pricing is subject to change. Mercedes-Benz reserves the right to make changes without notification. 2019 MMPV2G $34,800 197 Obsidian Black Metallic $990 VY2 Tunja Black Upholstery Options C01 C01 Driver Comfort Package $750 CF7 Comfort Suspension FZ9 Keys - Two Additional Masters SB1 Comfort Driver's Seat SB2 Comfort Passenger's Seat SE4 Lumbar support, passenger seat SE5 Lumbar support, driver seat SZ7 Seatback Map Pocket - driver SZ8 Seatback Map Pocket - passenger C25 Exterior Package (Fleet Only) $892 CM2 Bumpers painted in vehicle color FK2 CHROME-TRIMMED RADIATOR GRILLE RL8 5-spoke light alloy wheels, 7Jx17 X46 X46 8-Seat Configuration (Driver + 7 Passenger Seats) $390 U63 Seat - 2nd rear bench U71 Additional Seat, 2nd Row, Folding Curbside A1M Factory Tracking code LD9 Interior Lighting in Rear V83 Trim, hardboard, rear hinged doors W50 180-Degree Hinged Rear Doors SUBTOTAL $37,822 DESTINATION &DELIVERY $1,195 TOTAL $39,017 *Pricing is subject to change. 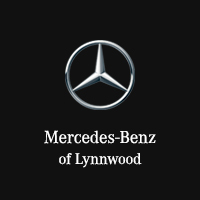 Mercedes-Benz reserves the right to make changes without notification.2019 MMPV2G $34,800 197 Obsidian Black Metallic $990 VY2 Tunja Black Upholstery Options C01 C01 Driver Comfort Package $750 CF7 Comfort Suspension FZ9 Keys - Two Additional Masters SB1 Comfort Driver's Seat SB2 Comfort Passenger's Seat SE4 Lumbar support, passenger seat SE5 Lumbar support, driver seat SZ7 Seatback Map Pocket - driver SZ8 Seatback Map Pocket - passenger C25 Exterior Package (Fleet Only) $892 CM2 Bumpers painted in vehicle color FK2 CHROME-TRIMMED RADIATOR GRILLE RL8 5-spoke light alloy wheels, 7Jx17 X46 X46 8-Seat Configuration (Driver + 7 Passenger Seats) $390 U63 Seat - 2nd rear bench U71 Additional Seat, 2nd Row, Folding Curbside A1M Factory Tracking code LD9 Interior Lighting in Rear V83 Trim, hardboard, rear hinged doors W50 180-Degree Hinged Rear Doors SUBTOTAL $37,822 DESTINATION &DELIVERY $1,195 TOTAL $39,017 *Pricing is subject to change. Mercedes-Benz reserves the right to make changes without notification. 2019 MMPV2G $34,800 197 Obsidian Black Metallic $990 VU9 Black Leatherette $200 Options C01 C01 Driver Comfort Package $750 CF7 Comfort Suspension FZ9 Keys - Two Additional Masters SB1 Comfort Driver's Seat SB2 Comfort Passenger's Seat SE4 Lumbar support, passenger seat SE5 Lumbar support, driver seat SZ7 Seatback Map Pocket - driver SZ8 Seatback Map Pocket - passenger C09 C09 Enhanced A/C Package $1,060 HH4 Automatic climate control H09 Air conditioning, enhanced power C19 C19 Electric Sliding Door Package $1,290 T55 Power Sliding Door right side T56 Power Sliding Door left side X04 X04 Multifunction Steering/Premium Display Package $535 CL3 Leather Steering Wheel CL4 Multifunction Steering Wheel JF1 Rain sensor JK3 I/P Cluster Pixel Matrix X45 X45 7-Seat Configuration (Driver + 6 Passenger Seats) U60 Bench - Two Place Seating U63 Seat - 2nd rear bench A1M Factory Tracking code F68 Exterior Mirror - Power/Heated $275 JA6 Collision Prevention Assist $254 LC4 Premium overhead control panel $95 LD9 Interior Lighting in Rear V83 Trim, hardboard, rear hinged doors W50 180-Degree Hinged Rear Doors SUBTOTAL $40,249 DESTINATION &DELIVERY $1,195 TOTAL $41,444 *Pricing is subject to change. Mercedes-Benz reserves the right to make changes without notification. 2019 MMPV2G $34,800 197 Obsidian Black Metallic $990 VU9 Black Leatherette $200 Options C01 C01 Driver Comfort Package $750 CF7 Comfort Suspension FZ9 Keys - Two Additional Masters SB1 Comfort Driver's Seat SB2 Comfort Passenger's Seat SE4 Lumbar support, passenger seat SE5 Lumbar support, driver seat SZ7 Seatback Map Pocket - driver SZ8 Seatback Map Pocket - passenger C09 C09 Enhanced A/C Package $1,060 HH4 Automatic climate control H09 Air conditioning, enhanced power C19 C19 Electric Sliding Door Package $1,290 T55 Power Sliding Door right side T56 Power Sliding Door left side X04 X04 Multifunction Steering/Premium Display Package $535 CL3 Leather Steering Wheel CL4 Multifunction Steering Wheel JF1 Rain sensor JK3 I/P Cluster Pixel Matrix X45 X45 7-Seat Configuration (Driver + 6 Passenger Seats) U60 Bench - Two Place Seating U63 Seat - 2nd rear bench A1M Factory Tracking code F68 Exterior Mirror - Power/Heated $275 JA6 Collision Prevention Assist $254 LC4 Premium overhead control panel $95 LD9 Interior Lighting in Rear V83 Trim, hardboard, rear hinged doors W50 180-Degree Hinged Rear Doors SUBTOTAL $40,249 DESTINATION &DELIVERY $1,195 TOTAL $41,444 *Pricing is subject to change. Mercedes-Benz reserves the right to make changes without notification. 2019 M2CA46 $39,790 147 Arctic White VF7 Fabric Black Options C6L Multifunction Steering Wheel $137 D50 Cargo Partition $273 ED4 AGM Battery 12V 95 Ah $96 ED8 Parametric Special Module (PSM) Preparation E1O Entry-Level Radio F64 Electrically Folding Exterior Mirrors $46 F68 Exterior Mirror - Power/Heated $273 QA9 Step Rear Wall for Trailer Coupling $96 Q24 Trailer Hitch $139 RD9 Tire Brand - Unspecified T77 Assist Handle w/Partition $30 V93 Wood Floor, Delete WA6 ED4 Credit CREDIT $-96 Z4X Production in Charleston SUBTOTAL $40,784 DESTINATION &DELIVERY $1,195 TOTAL $41,979 *Pricing is subject to change. Mercedes-Benz reserves the right to make changes without notification. 2019 M2CA46 $39,790 147 Arctic White VF7 Fabric Black Options C6L Multifunction Steering Wheel $137 D50 Cargo Partition $273 ED4 AGM Battery 12V 95 Ah $96 ED8 Parametric Special Module (PSM) Preparation E1O Entry-Level Radio F64 Electrically Folding Exterior Mirrors $46 F68 Exterior Mirror - Power/Heated $273 QA9 Step Rear Wall for Trailer Coupling $96 Q24 Trailer Hitch $139 RD9 Tire Brand - Unspecified T77 Assist Handle w/Partition $30 V93 Wood Floor, Delete WA6 ED4 Credit CREDIT $-96 Z4X Production in Charleston SUBTOTAL $40,784 DESTINATION &DELIVERY $1,195 TOTAL $41,979 *Pricing is subject to change. Mercedes-Benz reserves the right to make changes without notification. 2019 M2CA46 $39,790 147 Arctic White VF7 Fabric Black Options C6L Multifunction Steering Wheel $137 D03 Roof - High $2,700 D51 Cargo Partition w/ Fixed Window $317 FJ6 Standard Radio Deletion with 2 DIN Stowage Comp. F68 Exterior Mirror - Power/Heated $273 J2W Service Interval Code RF8 TIRE BRAND - MICHELIN RM9 Specially Requested Tires $96 T77 Assist Handle w/Partition $30 VA3 Side Wall Panel - Full Hardboard $420 V43 WOOD FLOOR WITH 6 D-RINGS $400 W54 Rear Doors 270 Degree Opening $340 W73 Rear Door Step - Bumper, Gray $176 ZB6 Vehicle dismantle/re-assembly ZI6 Radio Deletion Credit CREDIT $-1,613 Z4V Production Dusseldorf Z90 Deletion, Underfloor Preservation SUBTOTAL $43,066 DESTINATION &DELIVERY $1,195 TOTAL $44,261 *Pricing is subject to change. Mercedes-Benz reserves the right to make changes without notification.2019 M2CA46 $39,790 147 Arctic White VF7 Fabric Black Options C6L Multifunction Steering Wheel $137 D03 Roof - High $2,700 D51 Cargo Partition w/ Fixed Window $317 FJ6 Standard Radio Deletion with 2 DIN Stowage Comp. F68 Exterior Mirror - Power/Heated $273 J2W Service Interval Code RF8 TIRE BRAND - MICHELIN RM9 Specially Requested Tires $96 T77 Assist Handle w/Partition $30 VA3 Side Wall Panel - Full Hardboard $420 V43 WOOD FLOOR WITH 6 D-RINGS $400 W54 Rear Doors 270 Degree Opening $340 W73 Rear Door Step - Bumper, Gray $176 ZB6 Vehicle dismantle/re-assembly ZI6 Radio Deletion Credit CREDIT $-1,613 Z4V Production Dusseldorf Z90 Deletion, Underfloor Preservation SUBTOTAL $43,066 DESTINATION &DELIVERY $1,195 TOTAL $44,261 *Pricing is subject to change. Mercedes-Benz reserves the right to make changes without notification. 2019 M2CA46 $39,790 147 Arctic White VF7 Fabric Black Options C6L Multifunction Steering Wheel $137 D03 Roof - High $2,700 D51 Cargo Partition w/ Fixed Window $317 F64 Electrically Folding Exterior Mirrors $46 F68 Exterior Mirror - Power/Heated $273 T77 Assist Handle w/Partition $30 W54 Rear Doors 270 Degree Opening $340 W73 Rear Door Step - Bumper, Gray $176 Z4V Production Dusseldorf Z99 factory code SUBTOTAL $43,809 DESTINATION &DELIVERY $1,195 TOTAL $45,004 *Pricing is subject to change. Mercedes-Benz reserves the right to make changes without notification.2019 M2CA46 $39,790 147 Arctic White VF7 Fabric Black Options C6L Multifunction Steering Wheel $137 D03 Roof - High $2,700 D51 Cargo Partition w/ Fixed Window $317 F64 Electrically Folding Exterior Mirrors $46 F68 Exterior Mirror - Power/Heated $273 T77 Assist Handle w/Partition $30 W54 Rear Doors 270 Degree Opening $340 W73 Rear Door Step - Bumper, Gray $176 Z4V Production Dusseldorf Z99 factory code SUBTOTAL $43,809 DESTINATION &DELIVERY $1,195 TOTAL $45,004 *Pricing is subject to change. Mercedes-Benz reserves the right to make changes without notification. 2019 M2CA46 $39,790 147 Arctic White VF6 Leatherette Black $55 Options C6L Multifunction Steering Wheel $137 D03 Roof - High $2,700 D50 Cargo Partition $273 ED8 Parametric Special Module (PSM) Preparation E1O Entry-Level Radio E46 12V Power Outlet- Driver Seat Base $87 FZ9 Keys - Two Additional Masters $115 F64 Electrically Folding Exterior Mirrors $46 F68 Exterior Mirror - Power/Heated $273 JA7 Blind Spot Monitoring $426 JW8 Attention Assist $46 MS1 Cruise Control $250 RD9 Tire Brand - Unspecified T77 Assist Handle w/Partition $30 V93 Wood Floor, Delete W54 Rear Doors 270 Degree Opening $340 W73 Rear Door Step - Bumper, Gray $176 Z4V Production Dusseldorf Z99 factory code SUBTOTAL $44,744 DESTINATION &DELIVERY $1,195 TOTAL $45,939 *Pricing is subject to change. Mercedes-Benz reserves the right to make changes without notification. 2019 M2CA46 $39,790 147 Arctic White VF6 Leatherette Black $55 Options C6L Multifunction Steering Wheel $137 D03 Roof - High $2,700 D50 Cargo Partition $273 ED8 Parametric Special Module (PSM) Preparation E1O Entry-Level Radio E46 12V Power Outlet- Driver Seat Base $87 FZ9 Keys - Two Additional Masters $115 F64 Electrically Folding Exterior Mirrors $46 F68 Exterior Mirror - Power/Heated $273 JA7 Blind Spot Monitoring $426 JW8 Attention Assist $46 MS1 Cruise Control $250 RD9 Tire Brand - Unspecified T77 Assist Handle w/Partition $30 V93 Wood Floor, Delete W54 Rear Doors 270 Degree Opening $340 W73 Rear Door Step - Bumper, Gray $176 Z4V Production Dusseldorf Z99 factory code SUBTOTAL $44,744 DESTINATION &DELIVERY $1,195 TOTAL $45,939 *Pricing is subject to change. Mercedes-Benz reserves the right to make changes without notification. 2019 M2CA76 $44,990 147 Arctic White VF7 Fabric Black Options C6L Multifunction Steering Wheel $137 D50 Cargo Partition $273 FJ6 Standard Radio Deletion with 2 DIN Stowage Comp. FZ9 Keys - Two Additional Masters $115 F64 Electrically Folding Exterior Mirrors $46 F68 Exterior Mirror - Power/Heated $273 JA7 Blind Spot Monitoring $426 MS1 Cruise Control $250 RF8 TIRE BRAND - MICHELIN RM9 Specially Requested Tires $96 T77 Assist Handle w/Partition $30 ZB6 Vehicle dismantle/re-assembly ZI6 Radio Deletion Credit CREDIT $-1,613 Z4V Production Dusseldorf Z90 Deletion, Underfloor Preservation SUBTOTAL $45,023 DESTINATION &DELIVERY $1,195 TOTAL $46,218 *Pricing is subject to change. Mercedes-Benz reserves the right to make changes without notification.2019 M2CA76 $44,990 147 Arctic White VF7 Fabric Black Options C6L Multifunction Steering Wheel $137 D50 Cargo Partition $273 FJ6 Standard Radio Deletion with 2 DIN Stowage Comp. FZ9 Keys - Two Additional Masters $115 F64 Electrically Folding Exterior Mirrors $46 F68 Exterior Mirror - Power/Heated $273 JA7 Blind Spot Monitoring $426 MS1 Cruise Control $250 RF8 TIRE BRAND - MICHELIN RM9 Specially Requested Tires $96 T77 Assist Handle w/Partition $30 ZB6 Vehicle dismantle/re-assembly ZI6 Radio Deletion Credit CREDIT $-1,613 Z4V Production Dusseldorf Z90 Deletion, Underfloor Preservation SUBTOTAL $45,023 DESTINATION &DELIVERY $1,195 TOTAL $46,218 *Pricing is subject to change. Mercedes-Benz reserves the right to make changes without notification. 2019 M2CA46 $39,790 147 Arctic White VF6 Leatherette Black $55 Options C6L Multifunction Steering Wheel $137 D03 Roof - High $2,700 D50 Cargo Partition $273 ED8 Parametric Special Module (PSM) Preparation ES2 12V Power Outlet Rear Compartment $87 E36 Cutoff Relay for Auxiliary Battery $104 FJ6 Standard Radio Deletion with 2 DIN Stowage Comp. FZ9 Keys - Two Additional Masters $115 F68 Exterior Mirror - Power/Heated $273 J2W Service Interval Code LC2 LED light strip in rear compartment $249 LC4 Premium overhead control panel $88 MS1 Cruise Control $250 RF8 TIRE BRAND - MICHELIN RM9 Specially Requested Tires $96 SB1 Comfort Driver's Seat $225 SB2 Comfort Passenger's Seat $225 SE4 Lumbar support, passenger seat $64 SE5 Lumbar support, driver seat $64 T12 Sliding Door - Two Stage Opening $78 T77 Assist Handle w/Partition $30 T85 Assist Handle-Left Rear Door $30 T86 Assist Handle - Right Rear Door $30 VA3 Side Wall Panel - Full Hardboard $420 VC4 Cargo Lashing Rails-Upper $393 V42 Cargo Lashing Rails-Waistline $262 V93 Wood Floor, Delete W54 Rear Doors 270 Degree Opening $340 W73 Rear Door Step - Bumper, Gray $176 YK3 Cargo Straps - D Rings $77 YK4 Cargo Straps - Lashing Rails $98 Y10 First-Aid Kit $25 ZB6 Vehicle dismantle/re-assembly ZI6 Radio Deletion Credit CREDIT $-1,613 Z4V Production Dusseldorf Z90 Deletion, Underfloor Preservation SUBTOTAL $45,141 DESTINATION &DELIVERY $1,195 TOTAL $46,336 *Pricing is subject to change. Mercedes-Benz reserves the right to make changes without notification.2019 M2CA46 $39,790 147 Arctic White VF6 Leatherette Black $55 Options C6L Multifunction Steering Wheel $137 D03 Roof - High $2,700 D50 Cargo Partition $273 ED8 Parametric Special Module (PSM) Preparation ES2 12V Power Outlet Rear Compartment $87 E36 Cutoff Relay for Auxiliary Battery $104 FJ6 Standard Radio Deletion with 2 DIN Stowage Comp. FZ9 Keys - Two Additional Masters $115 F68 Exterior Mirror - Power/Heated $273 J2W Service Interval Code LC2 LED light strip in rear compartment $249 LC4 Premium overhead control panel $88 MS1 Cruise Control $250 RF8 TIRE BRAND - MICHELIN RM9 Specially Requested Tires $96 SB1 Comfort Driver's Seat $225 SB2 Comfort Passenger's Seat $225 SE4 Lumbar support, passenger seat $64 SE5 Lumbar support, driver seat $64 T12 Sliding Door - Two Stage Opening $78 T77 Assist Handle w/Partition $30 T85 Assist Handle-Left Rear Door $30 T86 Assist Handle - Right Rear Door $30 VA3 Side Wall Panel - Full Hardboard $420 VC4 Cargo Lashing Rails-Upper $393 V42 Cargo Lashing Rails-Waistline $262 V93 Wood Floor, Delete W54 Rear Doors 270 Degree Opening $340 W73 Rear Door Step - Bumper, Gray $176 YK3 Cargo Straps - D Rings $77 YK4 Cargo Straps - Lashing Rails $98 Y10 First-Aid Kit $25 ZB6 Vehicle dismantle/re-assembly ZI6 Radio Deletion Credit CREDIT $-1,613 Z4V Production Dusseldorf Z90 Deletion, Underfloor Preservation SUBTOTAL $45,141 DESTINATION &DELIVERY $1,195 TOTAL $46,336 *Pricing is subject to change. Mercedes-Benz reserves the right to make changes without notification. 2019 M2CA46 $39,790 147 Arctic White VF4 Fabric Black/White Pattern $55 Options C0A Basic Comfort Package 2 $690 SK1 Comfort Headrest-Passenger's Seat SK0 Comfort Headrest-Driver's Seat SE5 Lumbar support, driver seat SE4 Lumbar support, passenger seat LC4 Premium overhead control panel C01 C01 - Driver Convenience Package $1,210 JW8 Attention Assist JA7 Blind Spot Monitoring F68 Exterior Mirror - Power/Heated F64 Electrically Folding Exterior Mirrors FZ9 Keys - Two Additional Masters FJ1 I/P Hinged Lid-Center Stack Bin E46 12V Power Outlet- Driver Seat Base C6L Multifunction Steering Wheel C02 C02 - Premium Package $1,240 JF1 Rain sensor JB4 322 Active Lane Keeping Assist FM3 Wet Wiper System BA3 Brake Assist Plus X67 X67 - Chrome Grille Package $270 FK3 Chromed Trim Radiator Grille CN2 Radiator Grille Frame in Vehicle Color 0R0 MS1 Credit (C01) CREDIT $-250 0R0 C01 Pck Credit (MS1) 0R1 FR8 Credit (C02) CREDIT $-319 0R1 C02 Pck Credit (FR8) 0R2 E3M Credit (C02) CREDIT $-273 0R2 C02 Pck Credit (E3M) 0R5 SB1 Credit (C00) CREDIT $-225 0R5 C00 Pck Credit (SB1) 0R6 SB2 Credit (C00) CREDIT $-225 0R6 C00 Pck Credit (SB2) D93 Deletion of Cargo Partition (Standard) ED4 AGM Battery 12V 95 Ah $96 ED8 Parametric Special Module (PSM) Preparation EX9 Free map data updates for 3yrs E1C Audio 25 E1E Navigation $683 E1G Intelligent Navigation E1S Satellite Radio $228 E2N Addition of Pro Scope In NTG6 E3M MBUX Multimedia System with 7 Touchscreen $273 E36 Cutoff Relay for Auxiliary Battery $104 FJ5 Hinged Lid for Stowage Compartment $91 FR8 Rear View Camera $319 JW0 Rear Backup Alarm $94 J2W Service Interval Code MS1 Cruise Control $250 N63 Bracket For Aux A/C Compressor $442 RF8 TIRE BRAND - MICHELIN RM9 Specially Requested Tires $96 04.12.2019 13.36.41 SB1 Comfort Driver's Seat $225 SB2 Comfort Passenger's Seat $225 S28 Armrest, Driver's and Co-Driver's Door $33 V93 Wood Floor, Delete WE1 Plant Control Code W54 Rear Doors 270 Degree Opening $340 W73 Rear Door Step - Bumper, Gray $176 XM4 ACOUSTIC PACKAGE $82 XO5 Digital Owner's Manual Y10 First-Aid Kit $25 Z4X Production in Charleston SUBTOTAL $45,745 DESTINATION &DELIVERY $1,195 TOTAL $46,940 *Pricing is subject to change. Mercedes-Benz reserves the right to make changes without notification.2019 M2CA46 $39,790 147 Arctic White VF4 Fabric Black/White Pattern $55 Options C0A Basic Comfort Package 2 $690 SK1 Comfort Headrest-Passenger's Seat SK0 Comfort Headrest-Driver's Seat SE5 Lumbar support, driver seat SE4 Lumbar support, passenger seat LC4 Premium overhead control panel C01 C01 - Driver Convenience Package $1,210 JW8 Attention Assist JA7 Blind Spot Monitoring F68 Exterior Mirror - Power/Heated F64 Electrically Folding Exterior Mirrors FZ9 Keys - Two Additional Masters FJ1 I/P Hinged Lid-Center Stack Bin E46 12V Power Outlet- Driver Seat Base C6L Multifunction Steering Wheel C02 C02 - Premium Package $1,240 JF1 Rain sensor JB4 322 Active Lane Keeping Assist FM3 Wet Wiper System BA3 Brake Assist Plus X67 X67 - Chrome Grille Package $270 FK3 Chromed Trim Radiator Grille CN2 Radiator Grille Frame in Vehicle Color 0R0 MS1 Credit (C01) CREDIT $-250 0R0 C01 Pck Credit (MS1) 0R1 FR8 Credit (C02) CREDIT $-319 0R1 C02 Pck Credit (FR8) 0R2 E3M Credit (C02) CREDIT $-273 0R2 C02 Pck Credit (E3M) 0R5 SB1 Credit (C00) CREDIT $-225 0R5 C00 Pck Credit (SB1) 0R6 SB2 Credit (C00) CREDIT $-225 0R6 C00 Pck Credit (SB2) D93 Deletion of Cargo Partition (Standard) ED4 AGM Battery 12V 95 Ah $96 ED8 Parametric Special Module (PSM) Preparation EX9 Free map data updates for 3yrs E1C Audio 25 E1E Navigation $683 E1G Intelligent Navigation E1S Satellite Radio $228 E2N Addition of Pro Scope In NTG6 E3M MBUX Multimedia System with 7 Touchscreen $273 E36 Cutoff Relay for Auxiliary Battery $104 FJ5 Hinged Lid for Stowage Compartment $91 FR8 Rear View Camera $319 JW0 Rear Backup Alarm $94 J2W Service Interval Code MS1 Cruise Control $250 N63 Bracket For Aux A/C Compressor $442 RF8 TIRE BRAND - MICHELIN RM9 Specially Requested Tires $96 04.12.2019 13.36.41 SB1 Comfort Driver's Seat $225 SB2 Comfort Passenger's Seat $225 S28 Armrest, Driver's and Co-Driver's Door $33 V93 Wood Floor, Delete WE1 Plant Control Code W54 Rear Doors 270 Degree Opening $340 W73 Rear Door Step - Bumper, Gray $176 XM4 ACOUSTIC PACKAGE $82 XO5 Digital Owner's Manual Y10 First-Aid Kit $25 Z4X Production in Charleston SUBTOTAL $45,745 DESTINATION &DELIVERY $1,195 TOTAL $46,940 *Pricing is subject to change. Mercedes-Benz reserves the right to make changes without notification. *Pricing is subject to change. Mercedes-Benz reserves the right to make changes without notification. 2019 M2CA76 $44,990 147 Arctic White VF7 Fabric Black Options C01 C01 - Driver Convenience Package $1,210 JW8 Attention Assist JA7 Blind Spot Monitoring F68 Exterior Mirror - Power/Heated F64 Electrically Folding Exterior Mirrors FZ9 Keys - Two Additional Masters FJ1 I/P Hinged Lid-Center Stack Bin E46 12V Power Outlet- Driver Seat Base C6L Multifunction Steering Wheel D93 Deletion of Cargo Partition (Standard) ED8 Parametric Special Module (PSM) Preparation E1O Entry-Level Radio MS1 Cruise Control $250 RD9 Tire Brand - Unspecified T85 Assist Handle-Left Rear Door $30 T86 Assist Handle - Right Rear Door $30 V93 Wood Floor, Delete W73 Rear Door Step - Bumper, Gray $176 ZB6 Vehicle dismantle/re-assembly Z4V Production Dusseldorf Z90 Deletion, Underfloor Preservation SUBTOTAL $46,686 DESTINATION &DELIVERY $1,195 TOTAL $47,881 *Pricing is subject to change. Mercedes-Benz reserves the right to make changes without notification. 2019 M2CA76 $44,990 147 Arctic White VF7 Fabric Black Options C01 C01 - Driver Convenience Package $1,210 JW8 Attention Assist JA7 Blind Spot Monitoring F68 Exterior Mirror - Power/Heated F64 Electrically Folding Exterior Mirrors FZ9 Keys - Two Additional Masters FJ1 I/P Hinged Lid-Center Stack Bin E46 12V Power Outlet- Driver Seat Base C6L Multifunction Steering Wheel D93 Deletion of Cargo Partition (Standard) ED8 Parametric Special Module (PSM) Preparation E1O Entry-Level Radio MS1 Cruise Control $250 RD9 Tire Brand - Unspecified T85 Assist Handle-Left Rear Door $30 T86 Assist Handle - Right Rear Door $30 V93 Wood Floor, Delete W73 Rear Door Step - Bumper, Gray $176 ZB6 Vehicle dismantle/re-assembly Z4V Production Dusseldorf Z90 Deletion, Underfloor Preservation SUBTOTAL $46,686 DESTINATION &DELIVERY $1,195 TOTAL $47,881 *Pricing is subject to change. Mercedes-Benz reserves the right to make changes without notification. 2019 M2CA76 $44,990 147 Arctic White VF6 Leatherette Black $55 Options C01 C01 - Driver Convenience Package $1,210 JW8 Attention Assist JA7 Blind Spot Monitoring F68 Exterior Mirror - Power/Heated F64 Electrically Folding Exterior Mirrors FZ9 Keys - Two Additional Masters FJ1 I/P Hinged Lid-Center Stack Bin E46 12V Power Outlet- Driver Seat Base C6L Multifunction Steering Wheel 0R0 MS1 Credit (C01) CREDIT $-250 0R0 C01 Pck Credit (MS1) 0R5 SB1 Credit (C00) CREDIT $-225 0R5 C00 Pck Credit (SB1) 0R6 SB2 Credit (C00) CREDIT $-225 0R6 C00 Pck Credit (SB2) D93 Deletion of Cargo Partition (Standard) ED8 Parametric Special Module (PSM) Preparation E1O Entry-Level Radio FQ6 Lockabel Unit in Stow Compartment Over Windscreen LC4 Premium overhead control panel $88 MS1 Cruise Control $250 RD9 Tire Brand - Unspecified SB1 Comfort Driver's Seat $225 SB2 Comfort Passenger's Seat $225 SE4 Lumbar support, passenger seat $64 SE5 Lumbar support, driver seat $64 S28 Armrest, Driver's and Co-Driver's Door $33 V43 WOOD FLOOR WITH 6 D-RINGS $400 ZB6 Vehicle dismantle/re-assembly Z4V Production Dusseldorf Z90 Deletion, Underfloor Preservation SUBTOTAL $46,904 DESTINATION &DELIVERY $1,195 TOTAL $48,099 *Pricing is subject to change. Mercedes-Benz reserves the right to make changes without notification. 2019 M2CA76 $44,990 147 Arctic White VF6 Leatherette Black $55 Options C01 C01 - Driver Convenience Package $1,210 JW8 Attention Assist JA7 Blind Spot Monitoring F68 Exterior Mirror - Power/Heated F64 Electrically Folding Exterior Mirrors FZ9 Keys - Two Additional Masters FJ1 I/P Hinged Lid-Center Stack Bin E46 12V Power Outlet- Driver Seat Base C6L Multifunction Steering Wheel 0R0 MS1 Credit (C01) CREDIT $-250 0R0 C01 Pck Credit (MS1) 0R5 SB1 Credit (C00) CREDIT $-225 0R5 C00 Pck Credit (SB1) 0R6 SB2 Credit (C00) CREDIT $-225 0R6 C00 Pck Credit (SB2) D93 Deletion of Cargo Partition (Standard) ED8 Parametric Special Module (PSM) Preparation E1O Entry-Level Radio FQ6 Lockabel Unit in Stow Compartment Over Windscreen LC4 Premium overhead control panel $88 MS1 Cruise Control $250 RD9 Tire Brand - Unspecified SB1 Comfort Driver's Seat $225 SB2 Comfort Passenger's Seat $225 SE4 Lumbar support, passenger seat $64 SE5 Lumbar support, driver seat $64 S28 Armrest, Driver's and Co-Driver's Door $33 V43 WOOD FLOOR WITH 6 D-RINGS $400 ZB6 Vehicle dismantle/re-assembly Z4V Production Dusseldorf Z90 Deletion, Underfloor Preservation SUBTOTAL $46,904 DESTINATION &DELIVERY $1,195 TOTAL $48,099 *Pricing is subject to change. Mercedes-Benz reserves the right to make changes without notification.